each decoded transmission is displayed in its own size-adjustable receive pane. 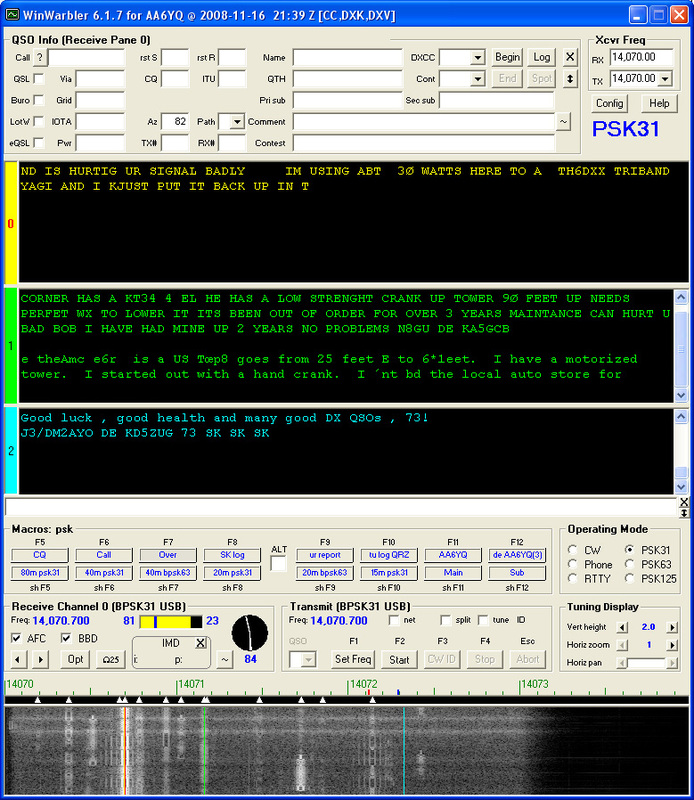 Can simultaneously monitor and decode up to 47 PSK transmissions across the band, extracting callsigns and capturing text for rapid acquisition and QSO initiation. 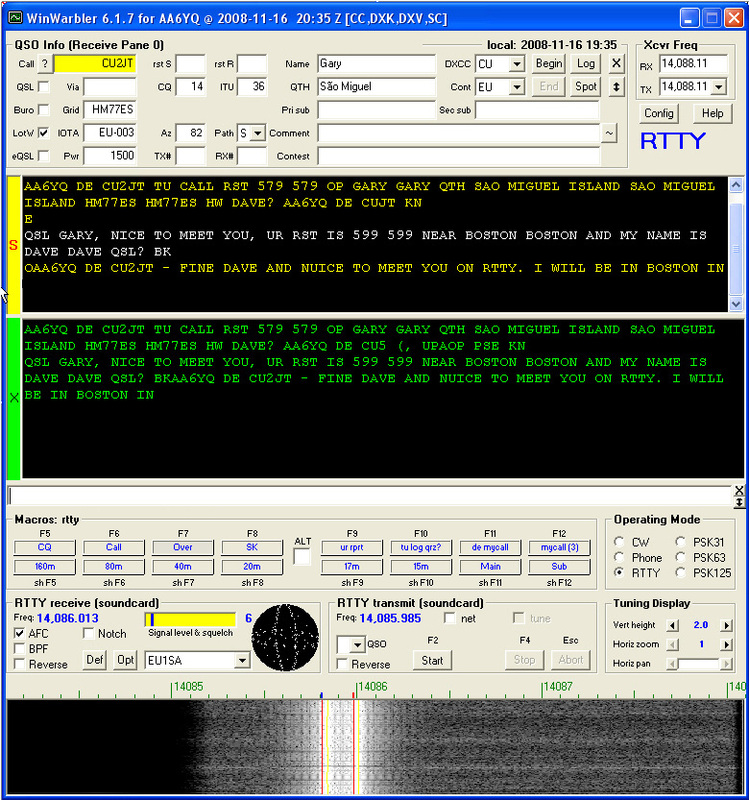 simultaneously monitors nearby signals -- such as a DX station and its pileup. .A PC running Windows 95, 98, NT, 2000, XP, Vista, 7, 8, or 10 with an SVGA or better display is required; both 32-bit and 64-bit flavors of Windows are supported. 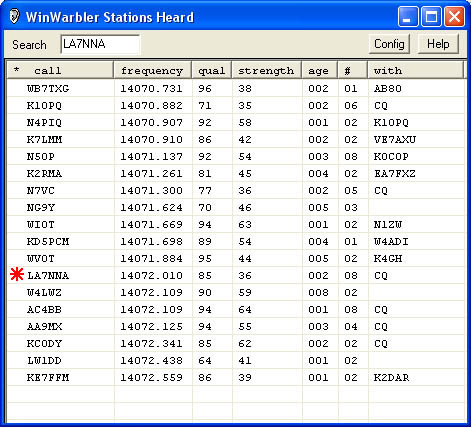 WinWarbler is free, and contains no advertising. Commercial use is expressly forbidden.